Is Your Business Missing Out On Potential Growth? Many small to medium sized businesses are missing out on potential growth simply because they are not regularly reviewing or analyzing their company's financial activity. Don't let this be your business - capture that growth! PNW Financial Concierge can interpret and explain financial statements by breaking them down and showing you or your team what information to look for. In addition, we can analyze your data and provide improvement suggestions to management. Looking for A Full-Service Business Management Solution? or Just need a little help reconciling the bank account? Whatever the need we are pleased to offer a range of accounting and financial services. With experience in many different industries - from construction to agriculture, non-profits to medical - you can be confident your books are in great hands! We also have the capacity to establish accounting systems and train in-house staff, complete with instructional material. Each and every business is unique, and our services are tailored to suit. We believe this provides the best level of service and maximum value for our clients. Please Contact Us to schedule a meeting and proposal. We utilize QuickBooks by Intuit to provide a comprehensive experience, from ease-of-use to detailed reporting and more. 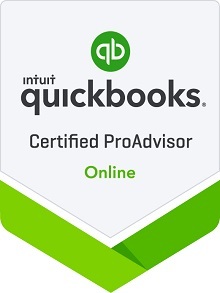 In addition to basic services, as QuickBooks Pro Advisors we are able to provide software and financial instruction in various one-on-one or group settings. Learn more about how we use QuickBooks here.